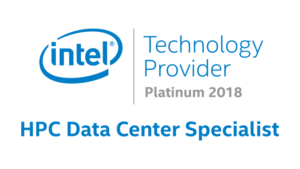 Sign up for Our Intel Webinar: Sept. 27! Nor-Tech will show you how to get better ROI on your investments in Simulation & Modeling software. Software license costs are 75% or more of your TCO investment in most Simulation & Modeling solutions. Nor-Tech’s Intel HPC Technology makes smarter use of your software license dollars. Nor-Tech’s 20 years of HPC Technology experience and our built-in NT-EZ support solutions make HPC supercomputers for simulation and modeling easy to use and more cost effective than Workstations or the Cloud. Listen to this 10-Minute Podcast Now! In this episode of Conversations in the Cloud, Dominic Daninger, VP of Engineering at Nor-Tech, joins Intel to talk about the work that Nor-Tech has done on the Intel® Select Solution for Simulation and Modeling. Dominic explains that the Intel Select Solution for Simulation and Modeling consists of pre-validated components that are designed to meet the demands of high performance computing (HPC) applications. The NT-HPC Simulation and Modeling Cluster is comprised of several key hardware and software components: Intel® Xeon Scalable processors, Intel® Omni-Path Architecture HPC fabric for latency-sensitive workloads, and other Intel technologies that benefit HPC applications. Dominic also shares some real-world examples that Nor-Tech has worked on in the simulation and modeling space.